The Composition Book is a completely fresh take on the iconic marbled notebooks of yesterday. Redesigned from cover to cover, this premium notebook marries function and form in black and kraft cover offerings. The notebook's rigid card stock cover is printed with metallic ink and bound with a black gaffer's tape spine. The smythe-sewn binding allows the book to lay completely flat when open. Each acid-free page is college-ruled with a subtle blue-to-coral gradient applied to the lines from top to bottom. With silver and copper metallic printed covers, everyone’s favorite childhood notebook is all grown up. Goodbye, awkward wide-ruled notebooks. 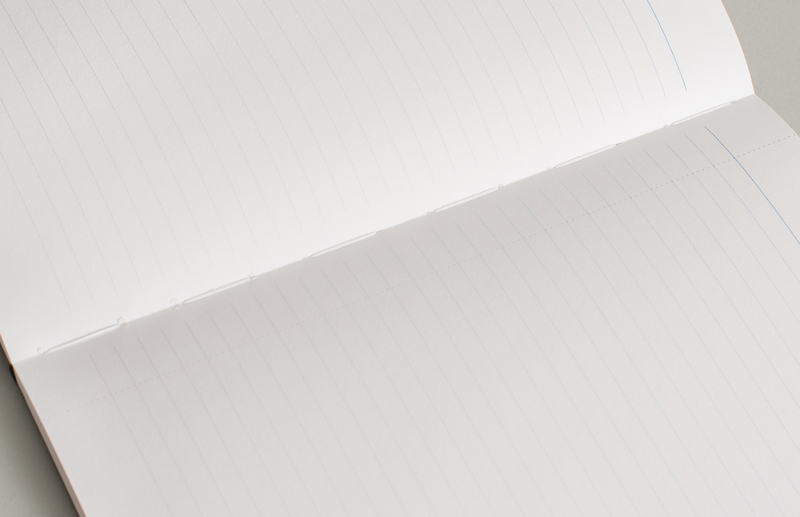 Treat your more sophisticated self with our beautiful gradient college-ruled pages. You shouldn't need to fight your notebook to stay open. That's why our Composition Book uses a special binding method to lay flat when open. "Some of our first writing happened within the marbled covers of our childhood composition notebooks. 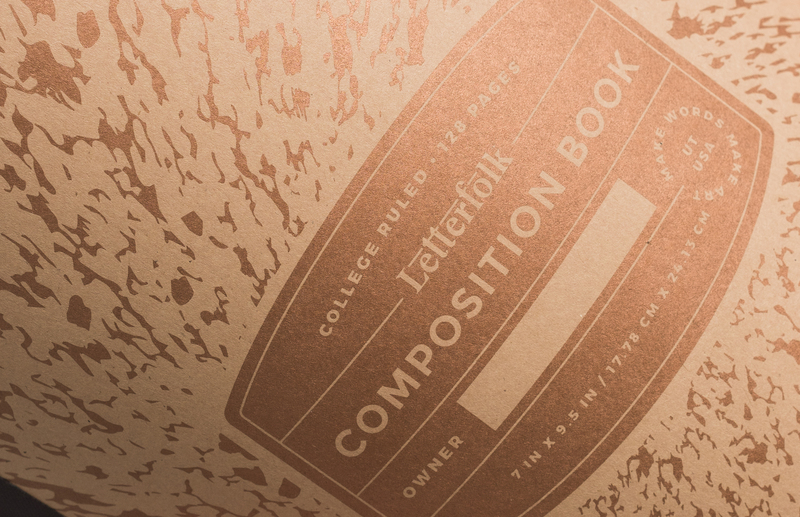 The Letterfolk Composition Book pays homage to the iconic notebook with a design fit for the grown-up you."